It has been already largely proven that Knowledge Discovery in Databases (KDD) is an interesting new research field, able to provide financial returns to the companies that are willing to invest into it. This fact demonstrates the excellent social value of KDD. A Science, however, is not uniquely defined by this feature. It needs also to show an internal logic, due to a specific approach to the real-life problems it deals with. This last point of view has been less emphasized in the existing KDD literature. This paper attempts, without any pretense to be exhaustive, to start filling up this gap. We shall explain why KDD is not just “a bunch of techniques” but a real Science, certainly one still under organization, but which shows the strong inner motivation that other Sciences do. In conclusion we shall give a compact definition of KDD, and show what is the concept it provides measurement of, as a function of which other concepts. Draganescu M.: L’Universalite’ ontologique de l’information (Ontological Universality of Information), preface, notes by Y. Kodratoff, Bucharest, Editura Academiei, 1996 (also available at http://www.racai.ro/books/draganescu. (In French). 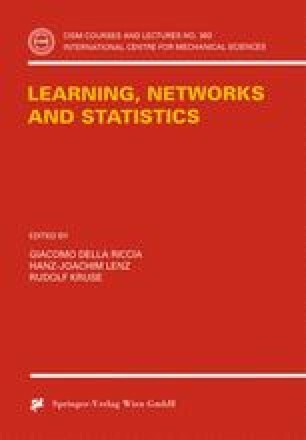 See also Draganescu M.: Information, Heuristics, Creation, in: Artificial Intelligence and Information, Control Systems of Robots, Plander I. (Ed. ), Elsevier, Amsterdam 1984, 25–29.